The book: The Crossroads of Globalization. A Latin American View. December 2018, 232 pages: World Scientific. More Info. The author: Alfredo Toro Hardy. GLO Fellow, Venezuelan Scholar and Diplomat. More Info. The Interviewer: Klaus F. Zimmermann/GLO President. 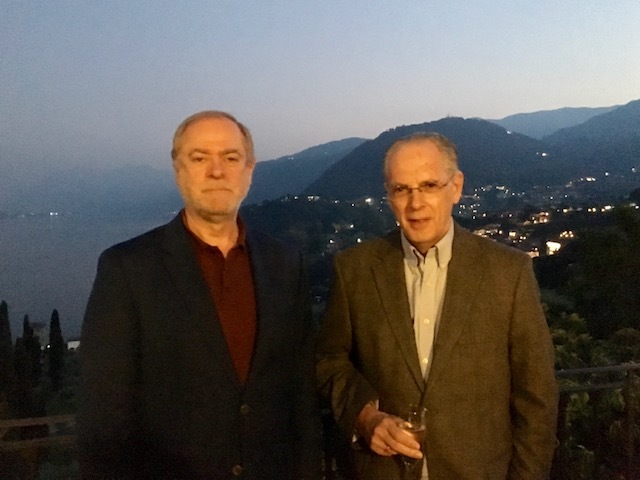 Hardy and Zimmermann have been both Rockefeller Foundation Bellagio Center Resident Scholars in Fall 2017. Zimmermann has written the Preface in the book: Text. GLO: Globalization seems to be under political pressure around the globe. How does it affect Latin America? Alfredo Toro Hardy: Two powerful forces are measuring their strength by acting upon globalization. One of them pushes globalization forward, while the other hinders its advance and promotes its demise. At this point in time, it is not clear which of them will end up prevailing. China’s economic umbrella and Asia’s middle class, whose expansion is estimated to represent 80 percent of the world’s middle class increase up to 2030, remain as the fundamental driving forces of globalization. On the other hand, though, we find populism and the displacement that disruptive technologies bring with them. While populism creates boundaries and discourages free trade, the Fourth Industrial Revolution advances towards a decoupling between developed and developing economies. Under these two very different but converging impulses, globalization is bound to loose ground. Uncertainty hinders Latin America’s strategic vision. If the future entailed a re-launching of globalization, it would seem obvious that the region should follow along its lines, positioning itself in the best possible terms so as to increase its potential benefits. However, if globalization is entering into a declining phase, Latin America would need to look for options. Latin America faces, therefore, not only a dramatic uncertainty as a result of forces beyond its control, but also the need to anticipate, to the best of its abilities, unforeseen events to which it will have to act or react upon. GLO: How can Latin America adapt best in the future? 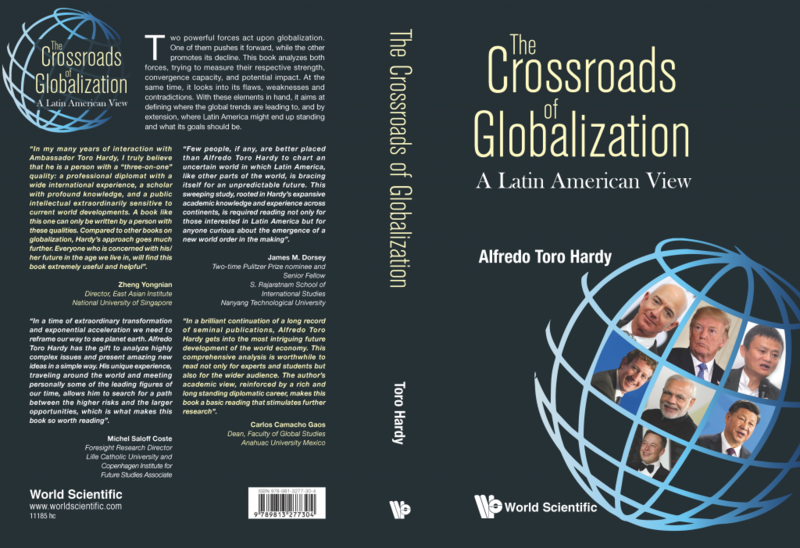 Alfredo Toro Hardy: As said, Latin America finds itself at the crossroads of the pro and the anti globalization forces. Were the rules of the game to change now, the region would certainly suffer. Uncertainty, however, is an even greater challenge because positioning itself and planning ahead amid conflicting signs, becomes extremely difficult. Globalization emerged as a result of political intention and technological feasibility. Now, it finds itself seriously challenged for the very same reasons. In both cases, political intention and technological feasibility are clearly identified with developed economies. What kind of route map can Latin America follow amid this confusing situation? To begin with, it is necessary to analyze the forces that push for and against globalization, trying to measure their respective strength, convergence capacity, and potential impact. This requires, at the same time, looking into the flaws, weaknesses and contradictions of such forces. With these elements in hand, it might be easier to envisage where the trends are leading to and, by extension, where Latin America might end up standing. However, there seems to be no alternative to playing in both directions, with the aim of minimizing costs and maximizing opportunities. Within this highly fluid situation, pragmatism, resilience, creativeness, imagination, and the joining together of Latin American forces, will have to guide the region’s actions in the foreseeable future. GLO: What are the challenges for globalization to become profitable for Latin America? Alfredo Toro Hardy: The curious equation formed by protectionism, populism, political rage, algorithms, deep learning, robots, 3D printing, nanotechnology, indoor and vertical farming, an emerging post animal food industry, and renewable energy, among other elements, may end up suctioning the oxygen of globalization. It is not only that trade barriers emerge, but that it will make no sense to look for cheaper manufactures, products or services afar, when it would become possible to generate them locally at competitive prices. A decoupling world economy, like the one that may emerge under such equation, presents no benefit for Latin America. Finding a path under such scenario would become extremely stressful and challenging. However, globalization has not been a rose garden for the region. Much to the contrary, it has imposed upon it the need to reconvert into labor-intensive manufacturing or to go back in time to commodities producing. Both of those options have being far from satisfactory. A globalization that becomes profitable for Latin America would entail the possibility of overcoming such limitations, while opening a path towards a much more international service oriented economy and a more value added manufacturing. Unfortunately, at this point in time options are narrowing not widening.